iTel Mobile “Android For Everyone” series has been boosted with the entry of the iTel A31 making it the 4th Android device on its "A series". The Android For Everyone series are developed mainly for users who wants just decent Android OS features at an affordable price. It specifically target those who are upgrading from feature (JAVA) phones to smartphones. iTel mobile is a 10 years old Hi-Tech innovative brand specializing in mobility solutions. The brand is present in 46 countries across the globe. In 2016, iTel mobile sold over 50 million devices and is among the top leading mobile brands in Nigeria. 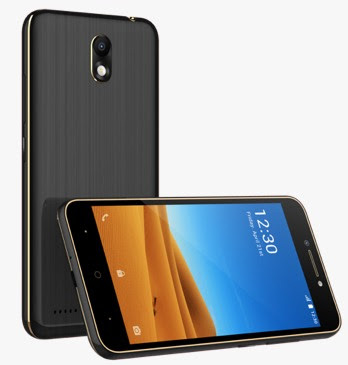 Find all the features, images, specifications and price of iTel A31 in this review. iTel A31 is a mid-range budget phone featuring a 5.0” IPS screen with 178° wide viewing angle and 480 x 856px image quality. It runs Android 7.0 Nougat out of the box. POWER: The phone runs on Android 7.0 Nougat and powered by Quad-core 1.3 GHz CPU Mediatek Chipset processor. MEMORY: The RAM on board is 1GB with 8GB storage space expandable to 32GB via a dedicated card slot. CAMERA: The iTel A31 packs 8MP back camera and 5MP frontal camera that is good to capture all your best and precious moments. It also comes with inbuilt camera functions like the beauty mode and watermarks that will help you in taking attractive shots. Selling Point: Low cost – Price below N20,000 in Nigeria, KSh 5,500 in Kenya, and GHC 200 in Ghana, Long lasting battery. Android 7.0 Nougat, Impressive camera and display at budget price.